Firstly, to set the record straight, the plural of avocado is avocados, not avocadoes as I frequently see. The avocado is also called the ‘alligator pear‘ because of the color and texture of the leather-like skin. Depending on the variety, avocados can weigh anything from 8 ounces to 3 pounds! The avocado flesh is hard when harvested and takes about six to nine days to ripen and soften to a buttery texture. It tastes like a cross between a hard-boiled egg yolk and butter. Like banana, the density of avocado flesh is filling and acts as a digestible slow-burning fuel, providing energy for growing children. Next to the olive, the avocado is the second fruit with the highest mono-unsaturated fatty acids content at 20%. This amounts to almost twenty times that of any other fruit. Weight-watchers often stay away from avocados specifically because of the fats content of the fruit. But that’s a myth. The mono-unsaturated fats and the wholesome nutrition helps the basal metabolic rate, and reduce overeating. A majority of the fats content is the health-promoting mono-unsaturated fats, followed by smaller amounts of polyunsaturated and saturated fats. The potassium content and calories of an avocado is three times that of a banana. Other essential minerals are iron and copper for the blood, phosphorus and magnesium. The sodium content in avocados and its low sugar content and absence of starch make it an ideal fruit for diabetics and hypoglycemics. It is also one of the richest source of fiber among all fruits and vegetables. Packed with vitamins A, several B-complex, especially B3, powerful anti-oxidants like vitamins C and E, folate, calcium, iron, potassium, etc. Bad breath: The avocado is one of the best natural mouth wash and a remedy for bad breath. It is effective in removing intestinal putrefactions or decomposition which are the real cause of a coated tongue and this unpleasant condition. Beauty aid: The oil extracted is widely used in preparation of beauty products. These include creams, cleansers and moisturizers to prevent the ageing effect of dehydration; bath oils, shampoos, scalp conditioner and hair tonic. Blood pressure: The high potassium and folate content in avocado helps to regulate blood pressure, protecting your body against circulatory diseases, heart problems and stroke. Cholesterol: An avocado contains oleic and linoleic acids that are effective in lowering the LDL cholesterol and increasing the healthy HDL cholesterol. Duodenal ulcer: The blandness of this fruit (and papaya) is comforting and soothing to the hypersensitive surfaces of the stomach and duodenum. Its abundant nutrient and enzymes are an effective remedy to treat these ulceration. Eyesight/vision: The potent anti-oxidant content in avocado helps neutralize free radicals that are important for improving eyesight and prevent eye problems like astigmatism, cataracts and glaucoma. Fetal development: The high folate content is important and necessary for healthy fetal cell and tissue development. Immune system: Regular consumption of avocados strengthens the body’s immune system. 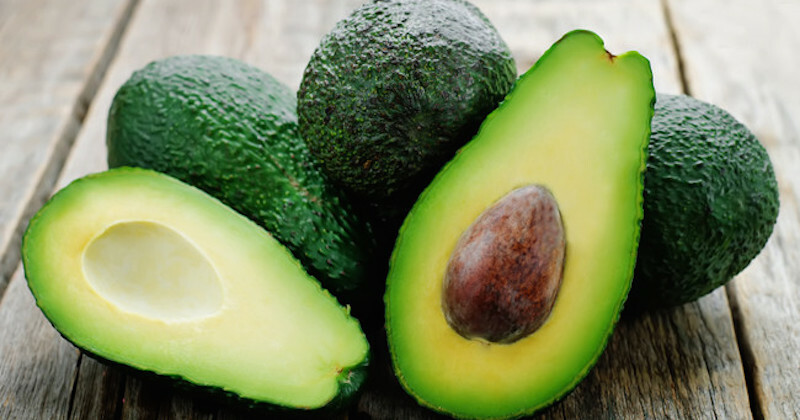 Increases absorption of phytonutrients: Studies have proven that when even a small amount of avocado is consumed together with other fruits and vegetables, the absorption of phytonutrients are a few times higher than when consumed on its own. This alone makes it worthwhile to be eating avocados regularly. Kidney stones: Consumption of the high-potassium content fruit helps to reduce urinary calcium excretion, lowering the risk of stones forming in the kidney. Morning sickness: The vitamin B6 helps relieve nausea and queasiness associated with pregnancy. Muscle and nerve: The high potassium content helps balance our body’s electrolytes, aids muscle activity, nerve function and energy metabolism. Prostate cancer: Studies have shown that certain unique phytonutrient substances in avocados have been known to help prevent the growth of prostate cancer cells and may even help repair the damaged cells. Psoriasis: The avocado oil is beneficial in the treatment of psoriasis. Apply regularly on affected parts to remove the scales. Related reading: Read how to eat avocado seeds for its ant-cancer benefits. To cut it, slice it lengthwise. When the knife blade touches the big rock-hard seed, rotate the knife around it and separate the halves. Remove seed with knife and scoop out the flesh with a spoon. Do not refrigerate avocado before it is ripe. But once ripe, it can be kept in the fridge for up to one week unsliced. And once cut open, do not keep for more than a day in the fridge. Avocado flesh that is exposed to air can quickly turn color because of the high iron content. Prevent this by sprinkling it with some lemon juice. Here are some suggestions on how to eat avocados and recipe ideas are unlimited. You can get creative and add whatever ingredient you want for a healthy snack. Take advantage of its increased absorption capability and add as much fresh foods as possible. 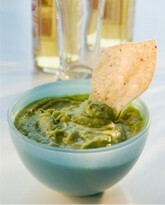 Avocado dips or bread spread (with a squeeze of lemon, 1 tsp honey, a few drops of Tabasco/hot sauce). 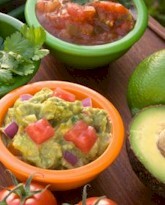 Avocado salsa as tortilla dips, with cubes of tomatoes, onions and coriander. 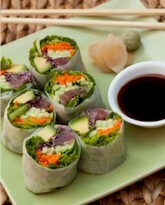 Spring rolls with ingredients of choice (avocado, cucumber, lettuce, salmon, etc.). 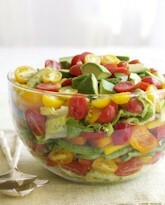 Salad (avocado, cherry tomatoes, lettuce shreds, capsicums, or whatever else you fancy). 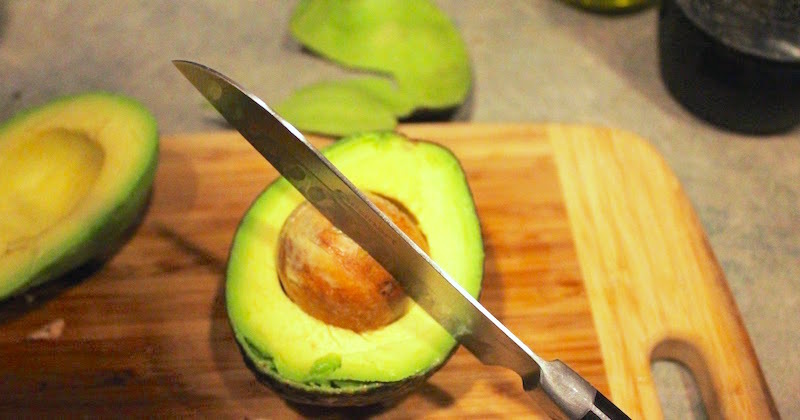 People who are sensitive to latex should avoid touching or eating avocados as it contains an enzyme called chitinase that can cause an allergic reaction.